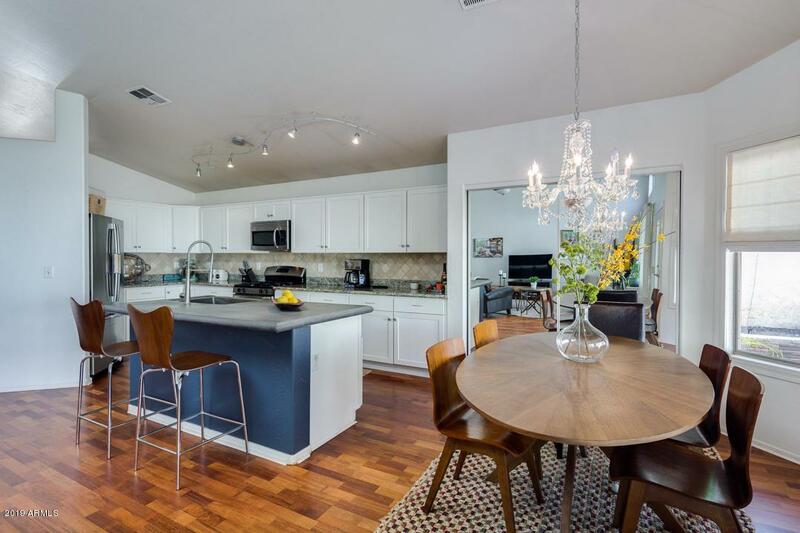 Nicely upgraded, located right across the street from small park/greenbelt. 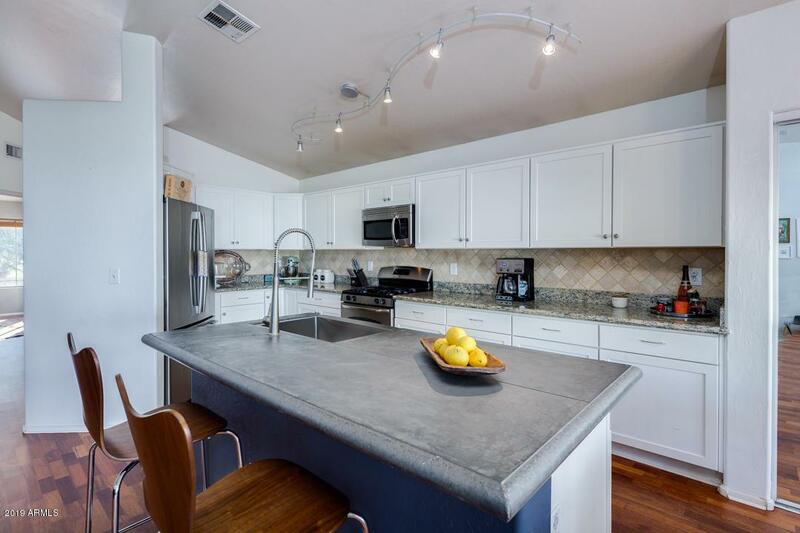 Features include updated kitchen with white shaker cabinets, granite w/tile backsplash, stainless steel appliances including gas range, combination of tile and wood flooring (no carpet! ), Wonderful floor plan includes great room with fireplace and wired for sound. 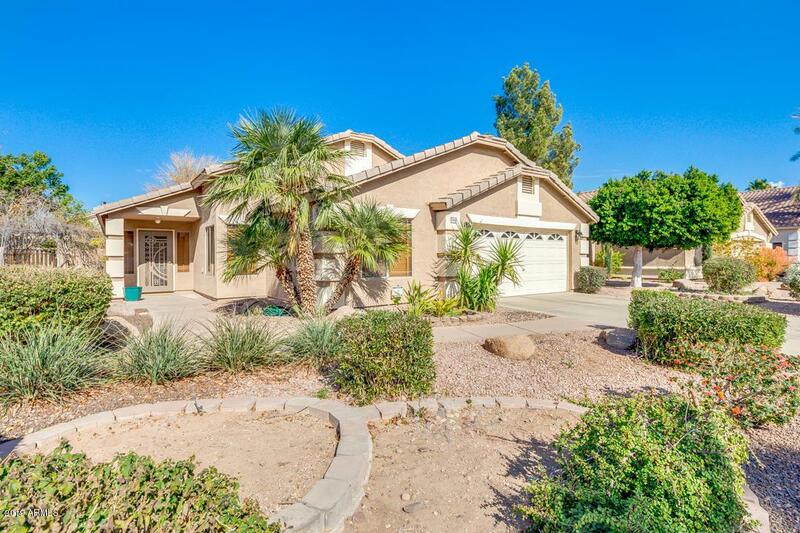 Master is light and bright with dual french doors leading to private backyard with extended covered patio, grassy area, and mature landscaping (including fruit trees). 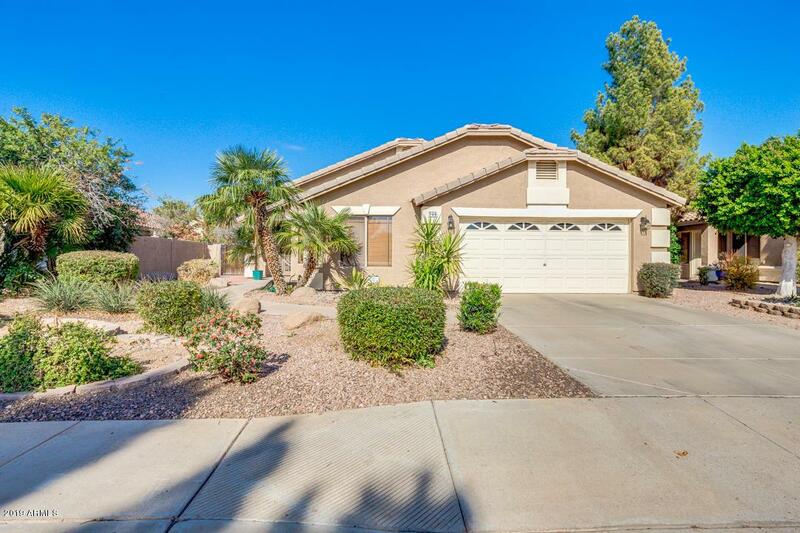 All of this, close to shopping, restaurants, US 60 and minutes to booming downtown Gilbert!